The ECHO Blower Attachment converts your ECHO PAS power source into a powerful blower. The axial direct-drive fan produces speeds up to 115-MPH and up to 364-CFM when used in conjunction with a PAS-225. With the impact resistant plastic housing and metal blower tip protector this blower will stand up to the most demanding jobs. A straight shaft trimmer is at your disposal with this attachment, which fits Ryobi, Toro Weed Eater and Troy Bilt trimmers. You get extra reach to trim areas that are hard to get to like underneath benches, decks and shrubs. The attachment provides a cutting swath of 18 inches to get your job done faster. Includes the ReelEasy Bump head for fast and easy line replacement. 8-inch Edger Attachment for Power Head System Add the EGO Edger Attachment to your EGO POWER+ Power Head system for convenient and efficient trimming around the yard. Featuring a depth-control wheel for greater precision and a premium edger blade, this trimmer is great for edging driveways, sidewalks, flower beds and borders. 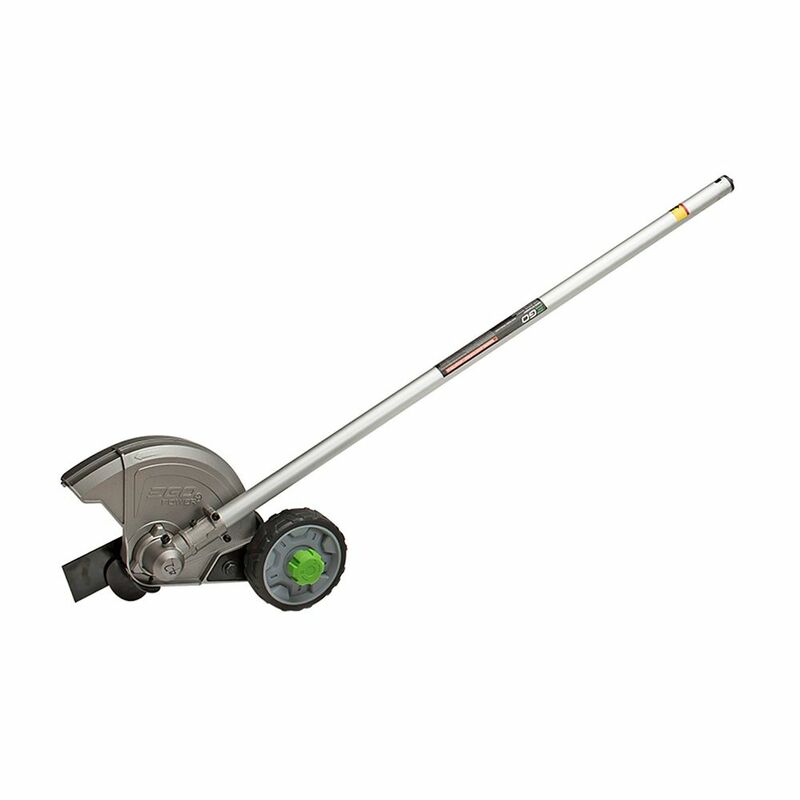 Maintain a clean and precise yard with the EGO Power Head Edger Attachment. EGO attachments are designed specifically for your EGO POWER+ Power Head System and offer the highest quality, performance and value. 8-inch Edger Attachment for Power Head System is rated 4.7 out of 5 by 86. Rated 5 out of 5 by Danny from Really works great and would never go gas again !... Really works great and would never go gas again ! Professional power and construction ! Rated 5 out of 5 by Ronald from Does a great job.... Does a great job. Rated 5 out of 5 by pilotouno from Edger for multi-head combo kit Actually bought the multi headed combo kit with edger and string trimmer. Then rounded it off by adding a pole saw extension also. I love the versatility of this unit. At first I was hesitant about the assembly of each piece but found it to be a breeze. Highly recommend it. Rated 5 out of 5 by HomeDepotCustomer from Well built. I like the integrated design where the same... Well built. I like the integrated design where the same battery and power head can be use over several products.